Hi everyone, I’m so sorry for being MIA these past weeks. I’m excited to share that as a lot of you are aware I was having some health issues and they finally came to a head and I had surgery. The good news is other than my hearing I am back on a roll. Although this liquid diet I have to be on for the next 3 weeks is NOT going to be fun. It’s a full liquid, so please if you have ideas and recipes do share. Positive hey maybe I’ll lose some much un-needed weight!! Ok so today was my first day up and around, so needed to get myself caught up! I like to send thank you cards and wow was I behind. 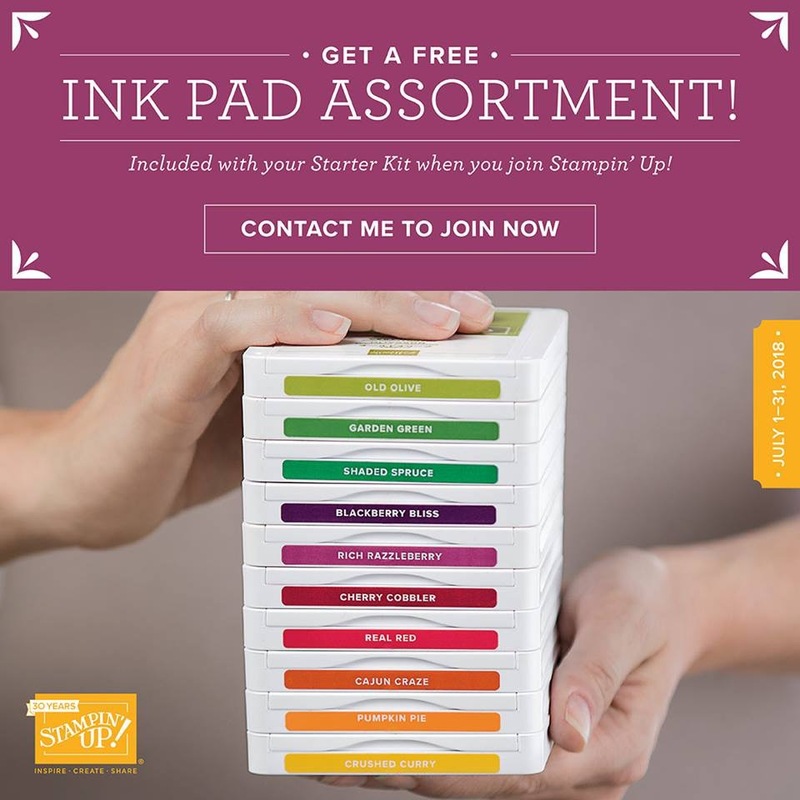 So today I wanted to make some real simple cards to go out to my customers who ordered the Getting Started kits. Remember those it had everything you need to get started making beautiful cards and 3d items. In addition, I had put together some goodie bags of embellishments to help them a long the way. 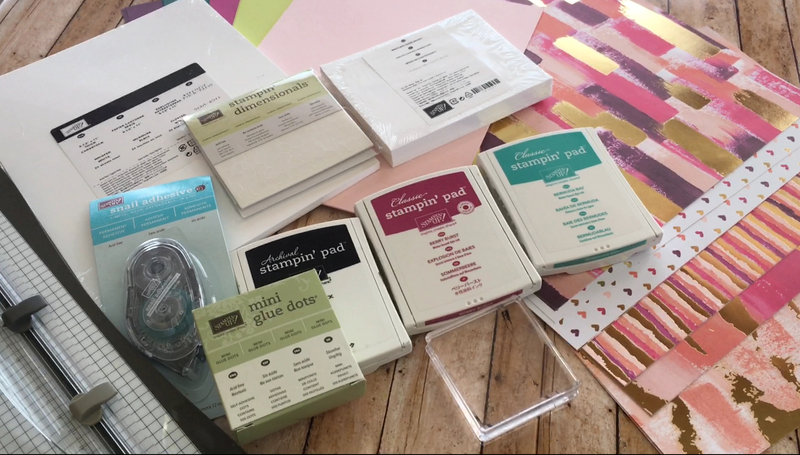 I was so excited with the new designer series paper Springtime Foils that I knew I wanted to use them. 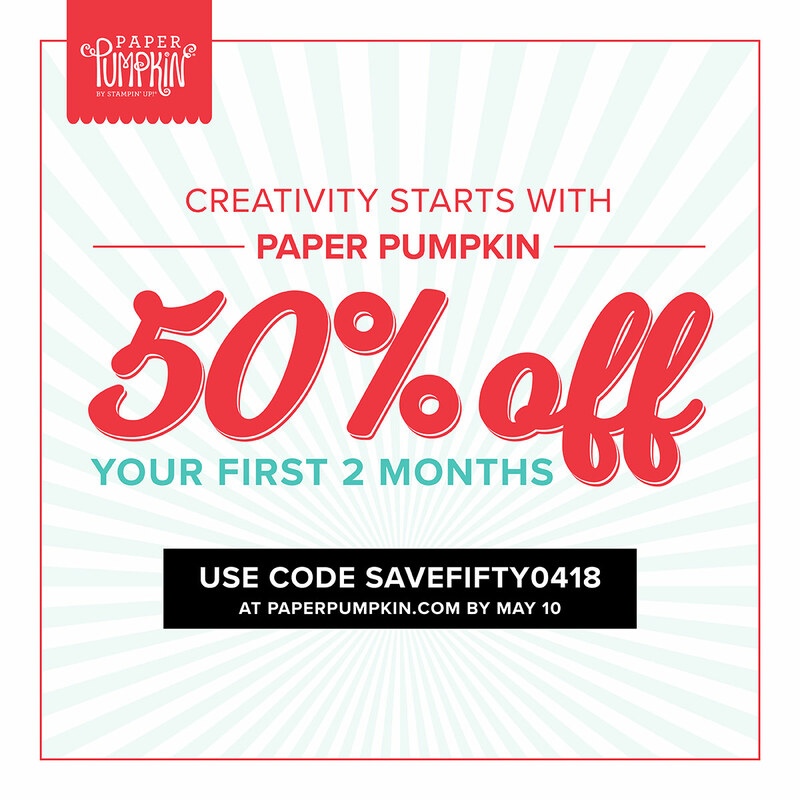 Crafting, Papercrafting, Stampin' Up!, Stepitup! Hi everyone; so glad to be back to the blog. I went from flu to double ear infection and now deaf in one ear temporarily while they try to get swelling down. Believe it or not no pain just pressure so I think I’m pretty lucky! I wanted to share with you some techniques each Saturday to show you simple ideas to step up your projects. Many years ago I used to see this used in scrapbooking a lot to help go from pretty to Wow status. So I hope you will all join me and trying with projects that you do to see how to just add the little oomph to get it there. 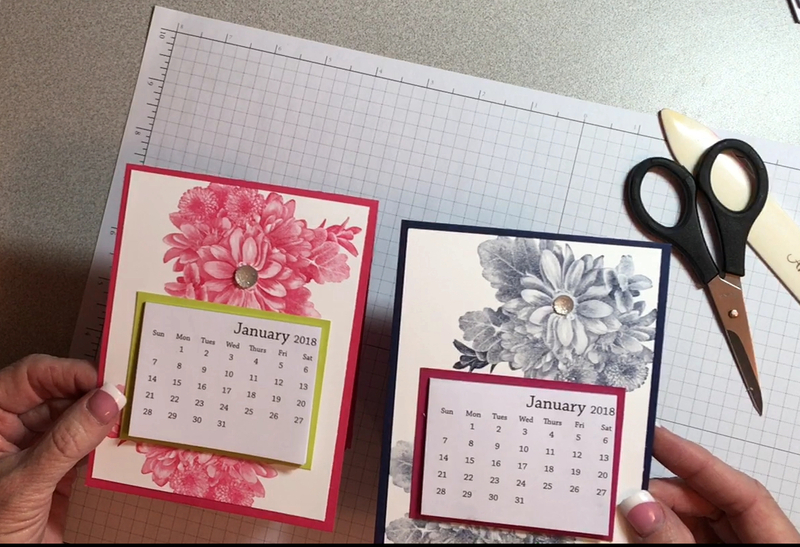 Today we are working with the Narrow Note Cards that are currently in our Occasions Catalog. These are adorable to create with. I hope you will share some of your projects on what you consider Stepping It Up. I would love to see what ideas you have as well. Let’s keep this going and see all the different projects we can do this with! I hope you enjoy this set, it was a quick idea, but I see how I can get better and better at this!! Let’s share what everyone else thinks we can do! 1 st card was completely stamped on the card base with a tag added. 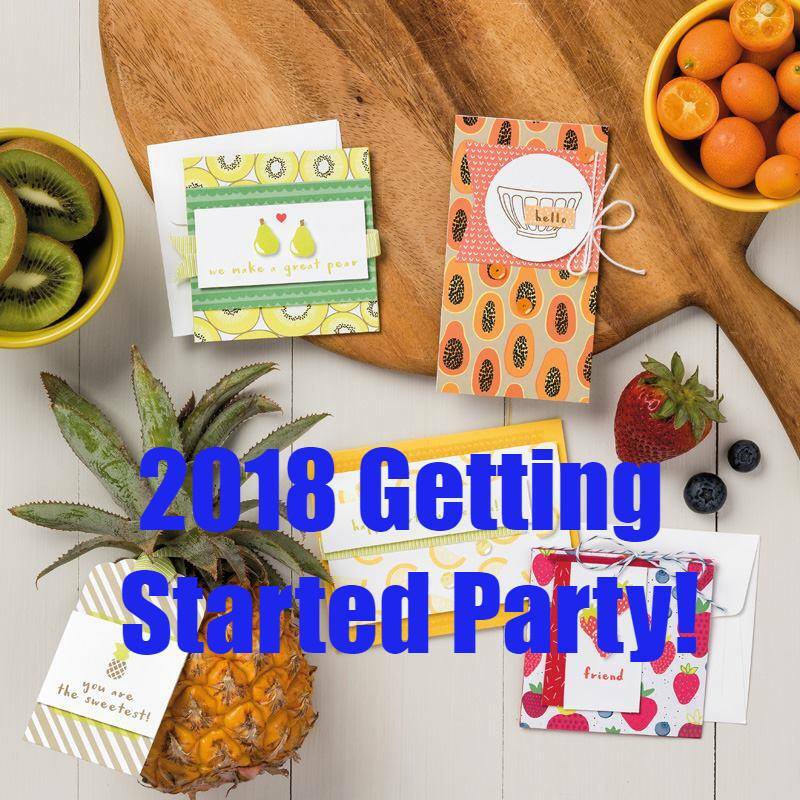 I did use the New Stampin’ Up! Blends Alcohol Pens. I absolutely LOVE THEM. Not sure why this photo seems blurry. But I guess I better figure out before I do more. 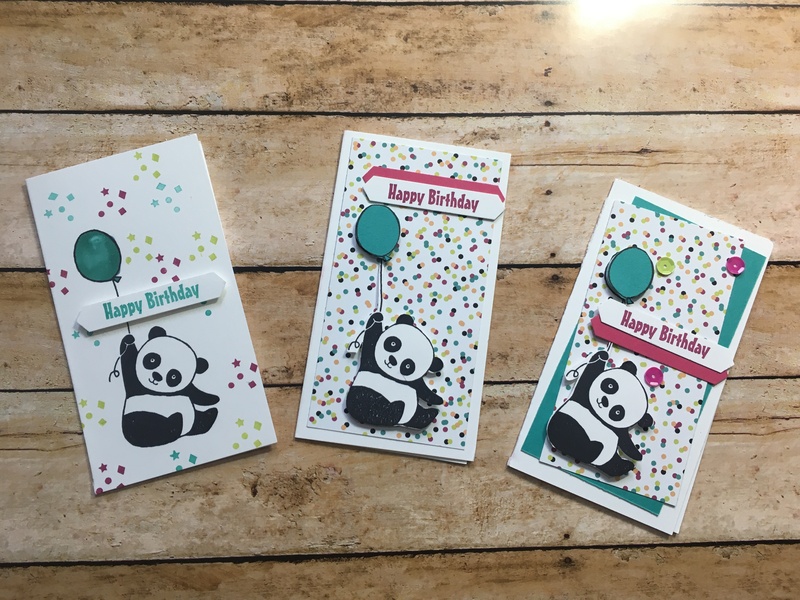 The next card I added some designer series paper, Fussy Cut my Panda Bear and cut the balloon out of Bermuda Bay Cardstock to pop up a bit. I also added and extra tag to pop the color out some more. The last card I cut the designer series paper down a little and added some Bermuda Bay Cardstock. I fussy cut my panda out again adding the balloon. Next I added some tutti fruiti sequins. 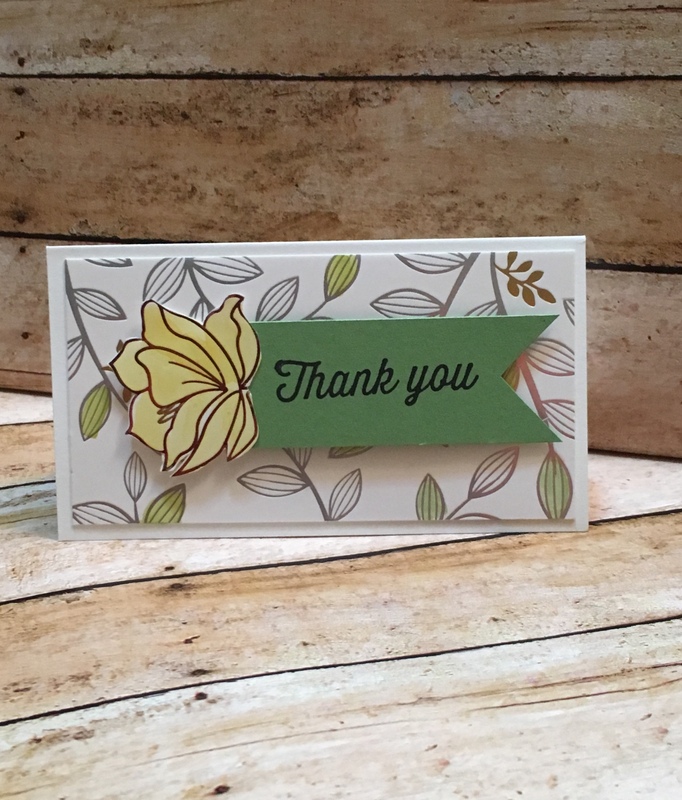 This step draws your eyes to all of the colors and it did not take much longer than the first card with the exception of the fussy cutting (never my favorite part but worth it!). Let’s take a look at all three together. I think they are all adorable but the options are endless! Hope you have enjoyed this little tutorial and be expecting bigger and better in the upcoming Saturdays!! Not to mention better pictures.